Tá Bliain na Gaeilge ag eagrú an ‘COMHRÁ 24/7’, curiarracht dhomhanda don chomhrá GAEILGE IS FAIDE riamh ar domhan mar chuid de Bhliain na Gaeilge! Thosaigh an COMHRÁ 24/7 beo ar TG4 Dé Domhnaigh seo caite. Leanfaidh an comhrá gan stad ansin go dtí 14.00 ar an Domhnach, 6 Deireadh Fómhair. Beidh Gaeilgeoirí ó cheithre airde na hÉireann á nascadh le lucht labhartha na teanga in áiteanna chomh fada i gcéin le Béising na Síne, Sydney na hAstráile, California sna Stáit Aontaithe, Glaschú san Alban agus Sheffield i Sasana mar chuid den churiarracht domhanda Comhrá 24/7. 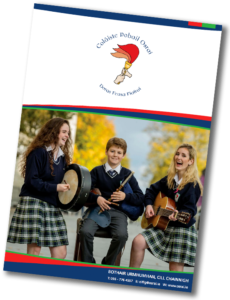 Tá grúpa éigin i gceannas ar gach uair a chloig anois agus beidh Coláiste Pobail Osraí ag eagrú ciorcail chomhrá Dé hAoine 4ú/10 óna 12.oo go 1.00. Beidh an comhrá sruthaithe beo ar leathanach idirlín faoi leith agus beidh deis ag an bpobal ar fud an domhain páirt a ghlacadh trí twitter le #comhra247. Bígí linn! Bliain na Gaeilge are organising ‘COMHRÁ 24/7‘, a world record attempt for the longest ever continuous conversation in IRISH in the world as part of Bliain na Gaeilge! Irish-speakers from every corner of Ireland will be linking up with global Gaeilgeoirí (Irish speakers) in places as far-flung as Beijing, China; Sydney, Australia; California in the United States; Glasgow, Scotland; and Sheffield, England as part of the world-record attempt Comhrá 24/7, the longest continuous conversation in Irish ever, running around the world from 29 September – 6 October 2013. Various groups around the world are organising conversation circles in slots of one hour each and Coláiste Pobail Osraí are doing their bit this Friday 4/10 from 12-1pm. The chat will be streamed live on a particular web page and will allow the worldwide community to participate through twitter at #comhra247.